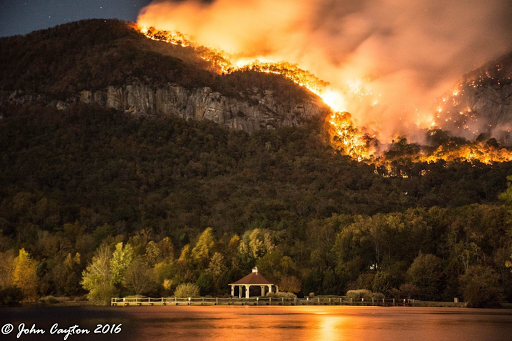 There have been eighty major wild fires burning across the Southeast. 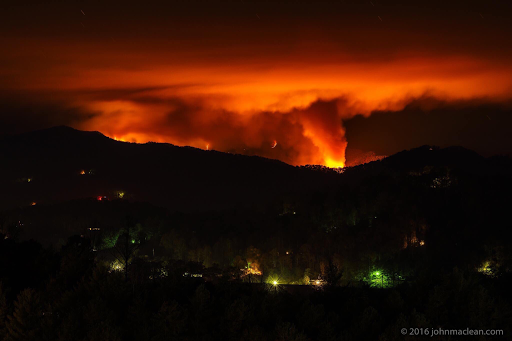 Eighteen of those fires are in the North Carolina Mountains. Those mountains have been burning since October 23rd. The winds have been up and we have not had rain in about thirty-five days now. According to the weather view, there are no chances of rain at least for another week. We now have a "no burn" ban going on all around the area. Though I live aproximatly a hundred miles from these mountains, we are almost smothered by the smell while the smoke is filling the air. Its hazy and smoggy. The air quality in my area is at Orange. I pray we get some rain soon, especially in the mountains of North Carolina. I just sent up a prayer for you!! We get fires each and every year. Terrifying, destructive things. I hope you get some relief. Soon. Wow! While they are actually pretty, they are sad. Oh that is awful but what beautiful pictures. I pray you get rain and the fires are put out. I agree. These pictures are awesome and whoever took them did a good job. Isnt that wierd? I work at Stanley Steemer and we service from Lancaster to Boone to all the way up in Ashville. Spartanburg and Gaffney are more clear than gastonia. I guess its how the wind blows. Charlotte looks worst than here. Forest fires are terrible, it always amazes me how HOT the flames are when stroked by the wind. The film that catch trees that BURST into flames are scary. Yes we do need rain all over the South. It sure is a crazy sight. I like to watch the "controled" fires when they burn Crowders Mtn and even took a drive through it once. It was amazing. It's bad here too. An added factor is that we have a firebug around us that keeps setting the woods and abandoned houses on fire. Thats sad. I hope they find the ones responsible. Omygoodness...this is a terrible thing and I'm so sorry no rain for awhile....I will pray for rain. Me too. Thought we would yesterday with some sprinkles but it was a false alarm. haha. Its Monday and the smog is back.